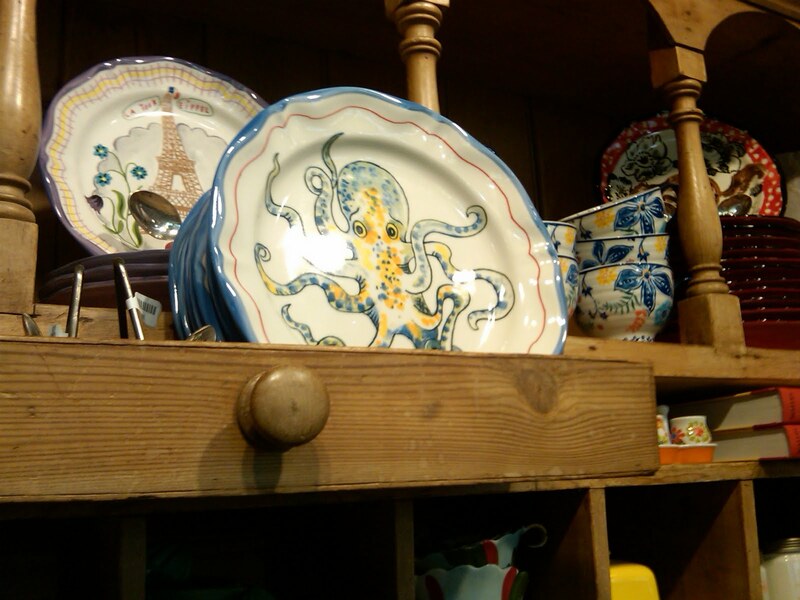 Just moments after getting an e-newsletter that featured this octopus coffee table, I happened upon the scene above at Anthropologie and ever-so-casually snapped a photo on my Blackberry. Could octopi be displacing birds as the favored animal in home decor? While they're certainly having a moment, somehow "Put an octopus on it!" doesn't have quite the same ring to it. Roll over images to view details.